You wouldn’t pour sugar into your car’s gas tank. So why put terrible requirements into your systems development process? 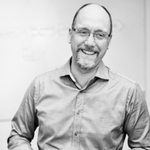 Christer is a driven change facilitator, who in recent years has specialized in organizational learning, change management, process improvements, LEAN and Systems Engineering (SE) and Requirements Engineering (RE). Christer has worked in the Medical and Defense sectors and currently the CEO of RE:Qualify AB in Sweden which specializes in requirements quality services and tools within the Scandinavian region.